Dietrich Bonhoeffer’s Resolve to Immerse Himself in Danger Upon His Return From America in 1939. 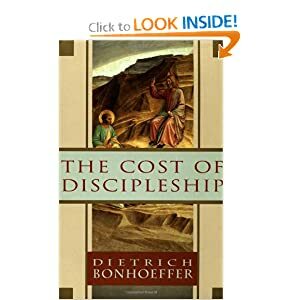 But his (Bonhoeffer) resolve to return quickly to the turmoil in his own land could now only mean that he was prepared to immerse himself in the dangers of illegal activities and accept fully whatever the outcome might be. (Craig J. Slane, Bonhoeffer as Martyr: Social Responsibility and Modern Christian Commitment, 20). If Dietrich Bonhoeffer Stayed in New York, Would He Live to be an Old Man? …there might have been an old man in Bonhoeffer! But would he have the same influence on the church and world? To endure the cross is not a tragedy; it is the suffering which is the fruit of an exclusive allegiance to Jesus Christ. When it comes, it is not an accident, but a necessity. It is not the sort of suffering which is inseparable from this mortal life, but the suffering which is an essential part of the specifically Christian life. If you’ve been following along with me on Twitter this weekend, you’re well aware that I am in the midst of an extended family reunion in Florida with my (very loud, Irish extended family). And while my family is still proud of our Irish heritage (some of them maybe a little too much), we are also deeply thankful to share in the freedoms the United States offers. For those of you reading this outside of the US, today is Memorial Day– a holiday celebrating those who died fighting for our country and her freedoms. These freedoms that my family enjoy came at a great cost. And that cost was not just monetary, but blood-bought in wars and conflicts, some name and some now. These brave men and women gave all they had so that we could enjoy certain freedoms not available to all. For that, my fellow Americans and I are very thankful.That’s a lot to remember. That’s a lot of people who gave their lives for others. I get that this is a picnic and barbecue day. Nothing wrong with that. But, in the midst of the summer kickoff, be sure to take some time to pray for the families of those who lost their loved ones– parents, children, siblings, and more. Good morning. This Memorial Day weekend, Americans honor those who have given their lives in service to our Nation. As we pay tribute to the brave men and women who died for our freedom, we also honor those who are defending our liberties around the world today. Yet, the main focus should be on the “memorial,” remembering those who have fallen– who gave their lives for something greater than themselves, or just to serve along side a comrade. At times like this, I’m always struck by the teaching of Jesus where he said, “Greater love hath no man than this, that a man lay down his life for his friends” (John 15:13). What Was Dietrich Bonhoeffer’s Toughest Decision? Perhaps the inner conflict between bourgeois security and radical Christianity reached its most acute point in the summer of 1939. 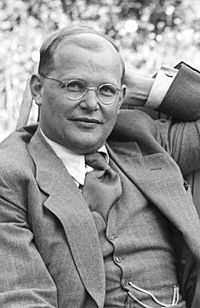 Faced with the imminent prospect of draft into Hitler’s army, Bonhoeffer accepted the invitation of Reinhold Neibuhr and Paul Lehmann to embark on a lecture tour in the United States. This was an opportunity to live in safety, to write and publish freely, and perhaps find a respite for his conscience as war clouds thickened over Europe. Earlier Niebuhr had successfully rescued Paul Tillich from his political dilemma in Germany. And now another of Germany’s brightest theological minds was arriving in the port of New York. The opportunity afforded by bourgeois society were surfacing once again, but this time Bonhoeffer could find a salve for his troubled conscience. Arriving before 13 June, he sensed he had made a bad decision. He managed to stay only a little less than a month. 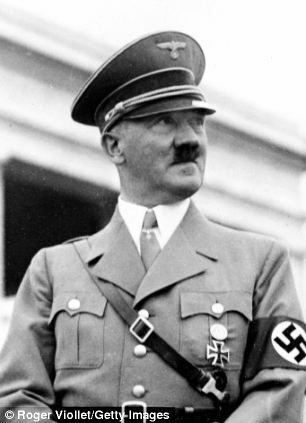 Did JFK Admire Adolf Hitler? 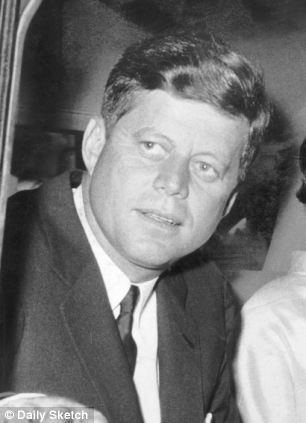 A new book out in Germany reveals how President Kennedy was a secret admirer of the Nazis. The news comes embarrassingly close to a visit being paid to Berlin next month by President Obama – one week before 50th anniversary commemorations of JFK’s memorable ‘Ich bin ein Berliner’ speech pledging US solidarity with Europe during the Cold War. Bonhoeffer’s bourgeois heritage and keen intellect could easily overpower others. Measured by almost any index he was a rich man. His father was an esteemed professor at Berlin University. The child Dietrich lived in the luxurious Grunewald district at Berlin, attended by a cadre of household employees: a tutor, a nanny, a housemaid, a cook, a receptionist for his father, and a chauffeur. His family had contacts at the highest levels of German society. But he was perceptive enough to know that earthly riches make one less secure, not more. He suspected God is nearer to those who have need. And so his heritage became a kind of burden to be overcome. If he were to live a life devoted to Christ, pride and power would have to be monitored on a continual basis. Christ kept himself from suffering till his hour had come, but when it did he met it as a free man, seized it, and mastered it.